Ideal for men, this activity will foster friendship and bring much laughter. Men will enjoy making the planes and then competing afterwards. It would be helpful if you could find a male volunteer to sit with participants and remind them of different ways to make paper airplanes. Buy colorful A4 paper (the paper used for origami is ideal) or you can use regular office paper. Have fun making planes! The more types of airplanes the better (big, small, square, round, jets, Boings, bi-planes, 747, sea-planes, etc. A templates has been provided as a starting point, many more can be found online. Remind participants to write their names on the finished product. Organise a fun competition game to see which plane can fly the farthest! It's often the simplest games that are the most effective and well received! 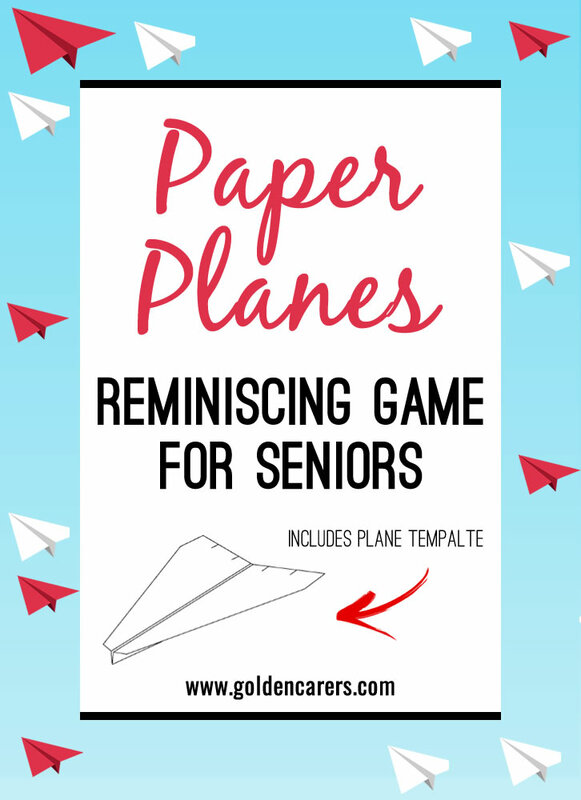 Have you tried making and flying paper planes with seniors before? I have done this activity last year and the results were brilliant, those not participating in the actual creation and flying of the aeroplanes were entertained by the antics of the pilots! Thanks for the reminder, i will put this on the calendar again. We recently did this activity as our local Wine, Wings and Wheels Show is coming up. Everyone had a great time, both men and women, and it generated lots of reminiscing and competitiveness! Really simple but effective. This activity sounds interesting, gonna give it ago, we have quiet a few men in at the moment and im sure they would love it; so would our ladies i bet. Will let you know how it goes. Making airplanes sounds like a great idea. Do you have any templates as I only know how to make one sort. You are quite right Christina, the more enthusiastic the MC the better and funnier the game. It is a game suitable to people from 8 to 80 years. 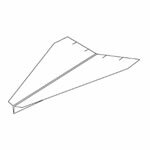 The idea came to me after I attended a Trivial Pursuit night for my son's primary school; after Trivial Pursuit we decided to have a competition of paper airplanes.We had so much fun, I had to pass it on. I saw this activity whilst on a cruise last year and it was hilarious. You need the person running the activity to have a really good sense of fun to make it work but it is well recommended. This is also my experience Heather. The men's group always enjoyed the airplanes making and the competition game afterwards. Great time for reminiscing about overseas holidays and childhood games. This was a fabulous activty for our mens group we had a bit of discussion about different planes and what planes had the men flown themselves or been in etc then we made our own and had a competition to see whose plane could go the furthest. They really had an enjoyable time.